So, I'm a Pinterest lover. It's true. And one thing I love is browsing Pinterest early in the morning with my cup of coffee. While doing my morning creep today, I came across a pin that super caught my interest. I have a little girl that is in love with pore strips. Seriously. An entire box in a month. 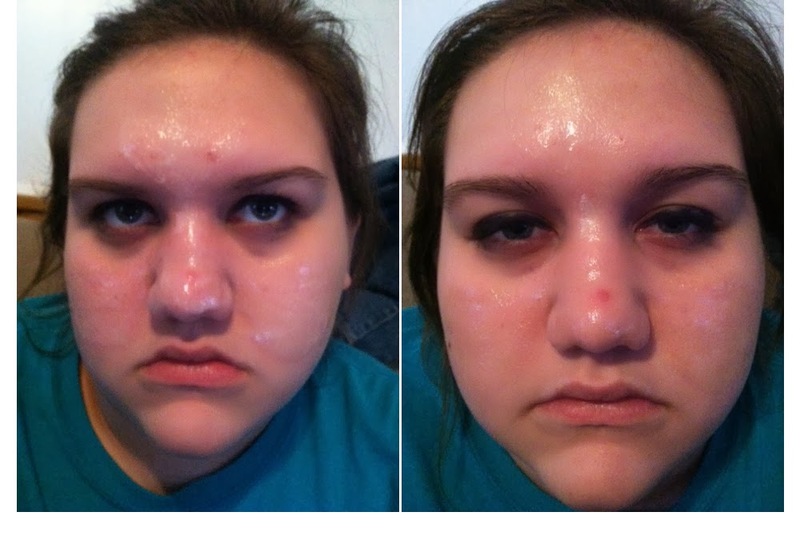 Anyways, when I saw homemade pore strips I was all whaaaaaaat?!?! I read the ingredients, YES, have them both. So I was off to my kitchen to try it on myself first. 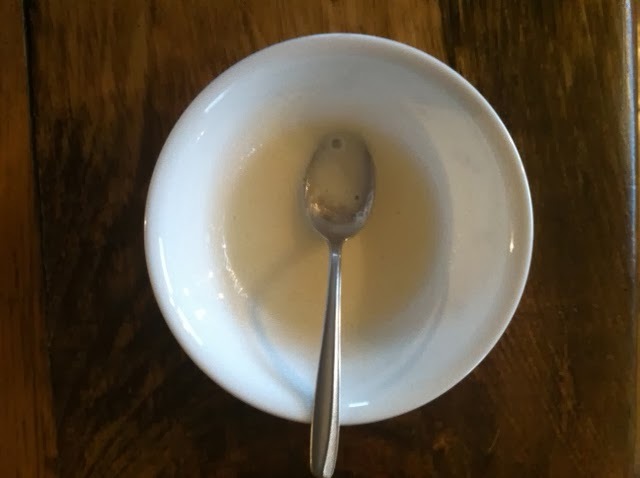 I measured 1 Tablespoon of unflavored gelatin into a bowl then added 2 tablespoons of milk. I mixed the ingredients together until it had a chunky consistency and then heated the gelatin mixture in the microwave for 10 seconds. DO NOT go beyond 10 seconds. I slathered it all over my face while it was still runny and set back for 15 minutes to let it do it's thing. You'll feel it getting tight on your face. When it starts to crack when you move your face, then it's time to take it off. Later in the day I convinced Miss Thing to let me try it on her. As you can see in the picture below, it also becomes super shiny when it's ready to be taken off. Pic on the left is as soon as I put it all over her. The right is when it was ready to be peeled off. And that's where this post will come in handy. 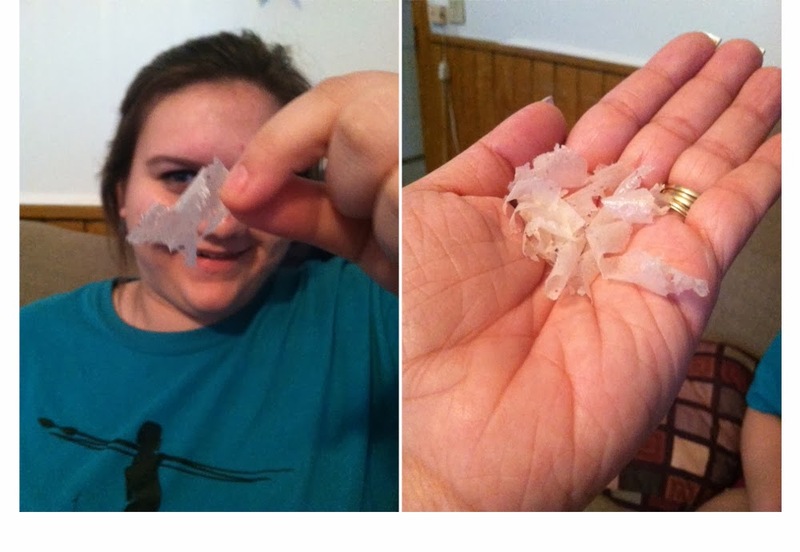 What not to do with homemade pore strips. Don't think "Hey, I have gelatin from 15 years ago, I bet it will work just fine". While indeed it will work fine, it won't smell fine. It's kinda hard to get away from a yucky smell when it's smeared all around your nose. Do not put it on the little hairs by your hair line. When I say this stuff sticks, I mean it. And it will rip your hairs out. Repeat, it WILL rip your hairs out. Which also means do not put it on your eyebrows. And if you do by accident, wash it off later. Don't get the fab idea to put it around your lips, thinking it will make them look soft. What you will find out is you actually have little baby hairs around there that will rip out. The pain will make you temporarily blind. And your eyes will water. Lots. The thicker you put it on, the easier it is to grab a hold of and take off. Also, if you take it off too soon (while it still feels kinda goopy) it's harder to take off. So make sure you let it dry completely. Exciting, right? Jade said she felt just like Goldmember when he was peeling his skin off.